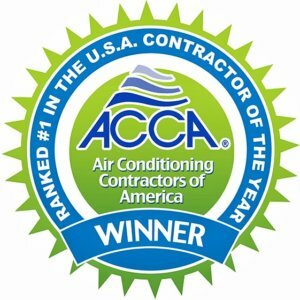 For the past 22-years, I’ve been working on building the best air conditioning company in Arizona. I never wanted to build the biggest company in AZ – just the best! What does that even mean? In my mind, being the best air conditioning company in Arizona means having the best people, delivering better service. That means nonstop training (both technical and customer service), listening to what our customer wants, and providing the best solution. Often, I learn lessons from my experiences with the businesses I shop at, and home service companies I hire personally. This is a story about one such home service experience and the lessons it taught me. I hope this article will help both homeowners and business owners alike. Homeowners can get some insight from a contractor’s perspective, and contractors from a homeowner’s perspective. 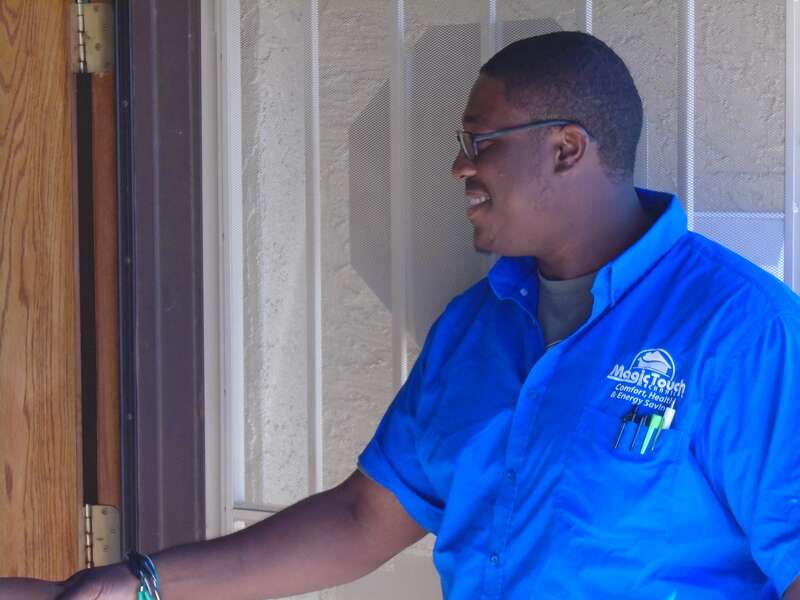 As I represent both in this story, I learned a lot that I’ll use to improve my company to build the best air conditioning company in Arizona! Just this past week, I scheduled to get quotes from three local contractors to replace my garage door. It was important to me that I ask the same of all so they were quoting apples to apples. In my business, we hear regularly; “Company A was cheaper than company B – for the same thing”. After comparing the quotes, often that’s not the case at all. The same model air conditioner does not equal “the same thing”. There are dozens, if not hundreds of ancillary items and steps that go into an HVAC system install. I know because part of building the best air conditioning company in Arizona means installing the equipment better than standard. Just because it meets minimum local code, does not mean it’s done well. Installing it “better” means more labor time, more training and better materials. All of which adds expense, but ultimately means a better customer experience both upfront, and in the long run. I told all three contractors, I wanted an insulated steel door, with a walnut colored wood-grain finish. All knew I was ready to buy; meaning, “I was ready to contract and move forward with the chosen company”. And, “I didn’t know much about garage doors and wanted their expert opinions on which was right for me”. The differences couldn’t have been starker in my experience with each company. I’ll use each one to share with my team on my quest to keep building the best air conditioning company in Arizona! The woman who answered the phone was both friendly and informative. She drilled down what I wanted with a series of questions. She then asked when I was planning to purchase. When I told her “immediately”, she offered to E-mail me options and schedule a “site check” for that afternoon. I received two very detailed quotes with pictures, pricing, and payment terms within 30-minutes. The installer who came to do the site check arrived at about 6pm (no call before). His truck was marked, not blocking my driveway, and he was friendly. What he was NOT, was a good salesman (or a salesman at all for that matter). However, it was clear he was knowledgeable and experienced by the things he pointed out. Unfortunately, he made a failed attempt to be a salesperson. What I mean is he clearly wasn’t trained in sales. Rather than tell me why I should hire his company, he warned me about why I shouldn’t choose other companies! It wasn’t necessary! – Clearly his job was verifying the installation site and what was needed. The woman on the phone was the “salesperson”. I would’ve been more than fine with dealing with an “inside” salesperson and an installer reviewing the site with me. Granted it’s not how we do it – our salespeople are all experienced installers and technicians. However, HVAC is more complicated than a garage door installation so our salespeople have to know the technical aspects. 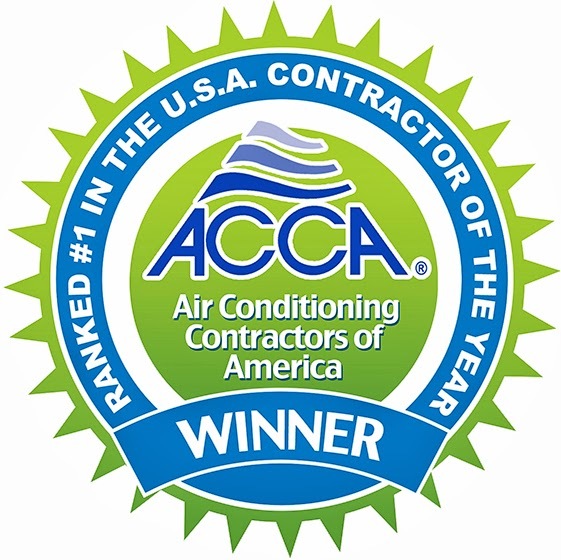 Tell your customer why WE’RE the best choice!– Obviously, we can’t just say we’re the best air conditioning company in Arizona and leave it at that. We better provide some proof of that! How are we different? What makes our installation better? How do our customers review their experience? What awards have we won? What are our guarantees? The funny thing is. I had done my due diligence before I even called them! I knew they were in business for thirty years, had an A rating with the BBB, had great reviews, etc. If he wanted to win me over, that’s what he should’ve been sharing. Never, never disparage the competition – even if they deserve it! The customer will hopefully see it themselves and choose the right company based on their merits. Fortunately for that company, having owned Magic Touch Mechanical for twenty-two years, I knew he was an installer not a salesperson. He knew the technical side – that’s what he should’ve talked about. So, I didn’t rule them out, but I think many people may have. The woman who answered the phone was clearly well trained to simply schedule the appointment. She was friendly, well spoken, quickly got my information, and scheduled an appointment. The salesperson called to say he was on his way (as requested), and arrived when he said he would. His truck was clean and marked, and he didn’t block my driveway. He asked if his truck was parked okay and asked permission to enter (all things we require of our team). He asked the important questions (as the inside salesperson from Company A had) to find out exactly what I wanted. I would say he was an exceptional salesperson… thus far. He listened well and provided the solutions I was looking for. He told me why I should choose him and his company and never brought up other companies. What the Customer Wants, the Customer Should Get! His one failure, was when he asked me how is price compared to others. I told him the truth – his price was $700 more than the quote I had already gotten. He asked to show me a sample of a different door he had in his truck. He showed me an uninsulated door with a woodgrain look and said he could install that one for $1,400 less. Mind you, I’m shopping for a premium door and he’s showing me a low-end door. I never said it was about price. In fact, here I am looking at doors that are 2 to 3x the price of a standard garage door. Not to mention he’s talking to a guy that preaches not to choose a contractor or product on price alone! I get it, it was a last-ditch effort, but it was not what I asked for. I’ve always believed the key to sales is listening to what the customer wants and providing the solution that fits. It should always be about earning the business by providing what the customer wants – not what you want to sell. Later that day, I received a new quote with a $700 discount that said “competitive price match”. I have mixed feelings about this. On the one hand, everything else went well and now I have two quotes for the same price. On the other hand, company A gave me that price upfront. The fact that I was first offered a quote that had a whopping $700 in added markup didn’t feel good. Sure, businesses need to be profitable in order to stay in business. A profitable business can better serve their clients and will be around when warranty issues arise. However, there’s a difference between fair profit and price gouging. This one was interesting. The name of the company I called was different than the name on the truck that arrived. I did receive a call before from the estimator to tell me when he was on his way. However, I was confused when he said this is John, with (company name) because that wasn’t the company I called. I was working in my garage when they arrived so saw them pulling up. The truck was poorly decaled, and disheveled looking. Not quite a jalopy, but not the image I would want to portray of my business. After all, the best air conditioning company in Arizona can’t show up looking like Chuck-in-a-truck! Two guys got out of the truck. Neither were in uniforms or a company shirt. Both were dressed differently. The driver, had a vape device in his hand and blew out a cloud of smoke as he walked up. Let’s put it this way – they did everything we use as example pictures of NOT to do with our team. The driver introduced himself but never the other guy. I later learned the other guy was the actual installer. The driver was the owner’s son. I had to ask why the company name was different. The explanation was the two companies were merging together…to make a total of 5-people in the business. Based on my initial impressions, I had already ruled this company out. However, thought I should give them a fair shot to redeem themselves. It never really got better. Don’t get me wrong, they seemed like nice people and the driver seemed knowledgeable, but they inspired very little confidence. Ironically, Company C offered the lowest price on the product I wanted. However, I know better. In the HVAC business, I see some terrible installations and very unhappy customers that chose the lowest price. Usually, it costs the customer way more money fixing problems than if they had just gone with a better company. So, Company C was out – despite the great price. Cost and price are two very different things! One of the things we teach young service technicians and salespeople is: You don’t earn someone’s trust and confidence when you first greet them – but you can lose it! If we expect to be the best air conditioning company in Arizona, we have to start with professionalism upfront. It’s up to me to provide clean, well-marked vehicles, company uniforms, hats, etc. It’s up to them to present themselves and represent the company the way we expect. However, I need to not only make sure we have clear guidelines, but that we train, practice, and re-train regularly. One of the professional customer service training coaches we hire holds me accountable. He says, “You need to inspect what you expect”. In other words, it’s not a one-and-done process. We role-play, and review our processes on a very regular basis. Clearly, Company C has no formal training. Company B had very good training but didn’t practice another thing we teach – “pure motives”! Pure motives mean providing the customer only what they want or need – not what we want to sell. Company A clearly had training but needed to polish their skills to keep the customer’s experience consistent. Of all three, I felt Company A’s quote was the most in line with the pure motives concept. At the beginning of this article I explained that Magic Touch Mechanical was a 22-year old HVAC Company. We’re a full-service air conditioning, heating, fireplace repair, energy audit, and home efficiency improvement contractor. We have earned well over 2,000 5-Star online reviews from our clients. Our walls and shelves are lined with dozens of awards. Even very prestigious awards like, BBB Ethics Awards, and a National AC Contractor of the Year Award! However, I never rest on my laurels thinking we’re “done”. We haven’t “built” the best air conditioning company in Arizona – even two decades later we’re constantly “building”! Which Contractor Did I Choose? I ultimately chose the company that I felt was the most trustworthy – Company A. I lost confidence in Company B the moment he offered me an inferior product – that I didn’t want. He could’ve convinced me why his installation was better and therefore cost more, and I would’ve listened. Instead, I was left feeling they were a “sales” company and not a “service” company. Ironically, his initial quote was within my budget! I will always pay more if you show me that it’s a better value. But, I’ll never pay less because it’s “cheaper” – I’ve been a contractor for a long time and just know better. Professionalism – From the moment we arrive and greet the customer, we’re being interviewed for a job. Pure Motive –Find out what the customer wants and what’s important to them. Offer solutions, products, and services that match. Inform / Educate –Don’t sell…inform and educate. Offer the Best Value –If the customer asks for the lowest price product to get the job done, offer it. If the customer asks for something high-end, offer it. Open Book Pricing –Had the salesperson shown me pricing from low to high, I would’ve shared my budget. He would’ve then known it wasn’t about the price – it was about the value.